In 2017, the Francis House of Peace Ping An House won the PACDC Blue Ribbon Award for excellence in community development. We are excited to announce the opening of the Francis House of Peace at 810 Arch Street in January 2016. Applications are now available on our website. Hard copy applications will be available at all Project HOME locations beginning August 1. Completed applications will be accepted at JBJ Soul Homes at 1415 Fairmount Avenue and PCDC at 301 North 9th Street beginning September 1, 2015. For more information, please call TDD 800-654-5988 | TYY Relay 711. 810 Arch Street is an innovative reuse of an infill site in the Chinatown neighborhood of Philadelphia. The development will enliven the pedestrian streetscape on the south side of Arch Street and increase the affordable housing inventory in Chinatown. The Philadelphia Redevelopment Authority (PRA), the current owner of the property, will convey the site for development by Project HOME, in collaboration with PCDC. 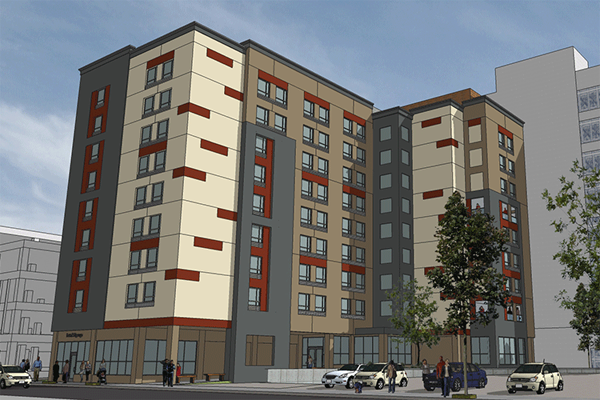 This new construction will offer affordable supportive housing to both a special needs population (homeless adult men and women) and to the community at large. 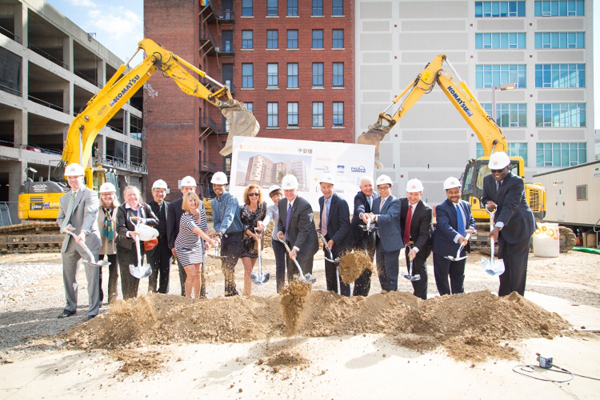 By building this new nine-story, mixed-use development near transit and services, this project will create innovative supportive housing that is compatible with the neighborhood’s character and will expand the diversity of housing opportunities in a multicultural community. Q: Am I a good fit for the Francis House of Peace? A: Please review the Tenant Selection Summary for more. A: You may download the form here. Physical forms will be made available at all Project HOME locations beginning August 1, 2015, as well as at the Philadelphia Chinatown Development Corporation (PCDC). PLEASE NOTE: Incomplete applications will not be accepted. All applications are processed in the order received. Please ensure you receive a receipt for your submission. A: All applications will be reviewed for completeness and for eligibility. Once it is determined that you are eligible, you will be contacted by phone or mail to set up an interview. If it is determined that you are not eligible for the Francis House of Peace, you will receive a letter stating why you are not eligible and details about your right to appeal. Proof of income dated within the last 60 days (examples: paystubs (most current 6), pension and any other types of income sources) – SS/SSI your annual award letter or other form of proof. Proof of assets (for example: one most recent savings and/or checking account statement). Any other types of assets, proof of ownership and value. All documents must be current. Expired documents are not accepted. Q: What should I know about the application process? A: This is a lengthy process, and we ask for your patience; it can sometimes take up to two months to complete. The more information you can provide during your interview, the sooner we can complete the process. Should your application be accepted, the first month’s rent and a security deposit must be provided prior to signing your lease. We apologize, but there are no exceptions.